SNAFU! : US Army wants an Infantry Squad Carrier...the question is what's the battlefield application! US Army wants an Infantry Squad Carrier...the question is what's the battlefield application! 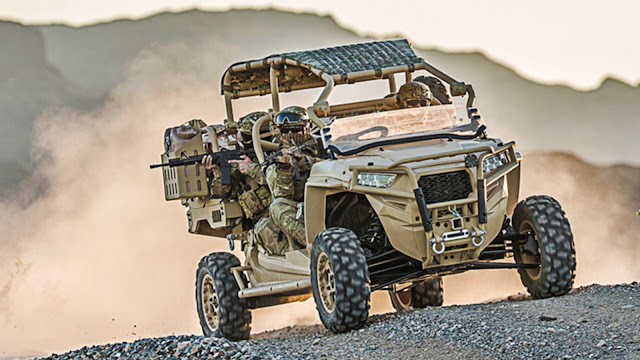 What is the sudden fascination ACROSS the services with ATVs or in Pentagon speak "Infantry Squad Carriers"? 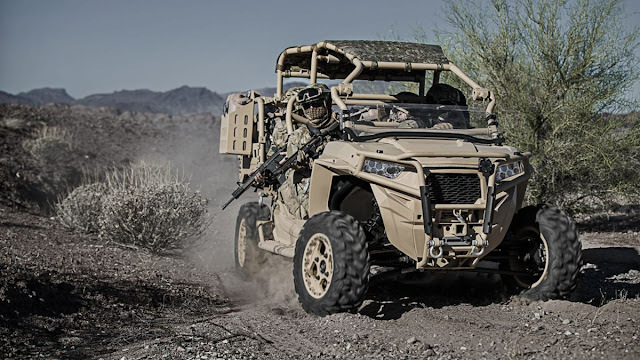 How did we swing between heavily armored wheeled IFV/APCs and ultra light militarized ATVs? We've been seeing this for awhile now. The USMC has been on these tracks for a bit now. We've seen different iterations of Light Strike Vehicles. 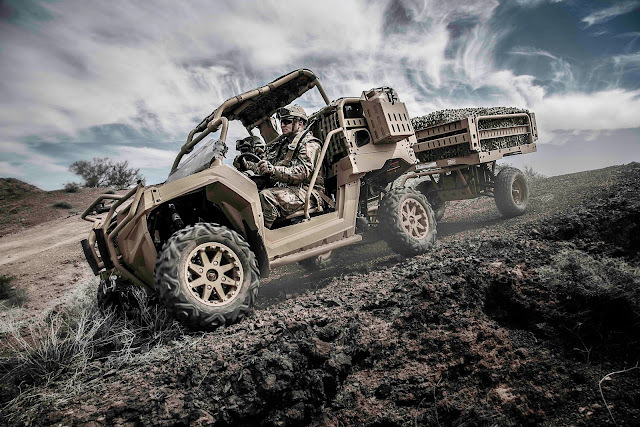 From Mercedes Benz Trucks modded to do the deep, to the old Vietnam era jeep before that, to a heavily modded "modern but old" jeep for awhile and now the Polaris MRZR. Haven't kept track of the Army's progress on these things but I do know that the 82nd and Rangers have been all over them lately (the same Polaris MRZR that the Marines are testing have in service). But I keep wondering why? I could see them acting in a utility role but that's not the plan. Internal carriage aboard helicopters or kicked out the back of C-17's or C-130's and then a ride to combat. The article talks about them acting as pure battlefield taxis in the latest version of the concept but even that is problematic (at least in my mind). 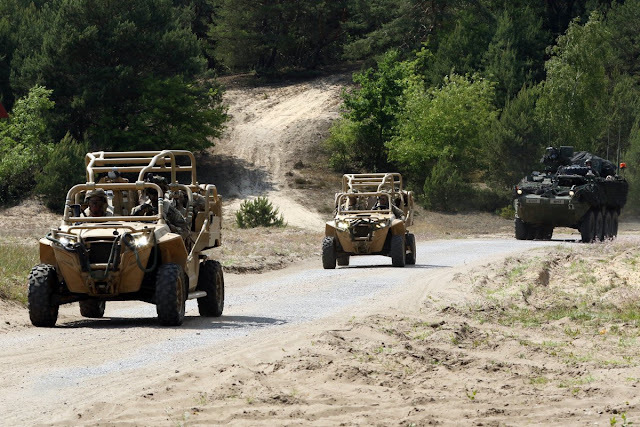 A quick ride to the fight and then enemy fire or a mechanical problem gives whoever is in charge an unwelcome battlefield problem. I can even envision issues with them acting only as long range patrol vehicles. I know they're fun. I know zooming around is intoxicating. But the battlefield application has me confused. Not a rant. Just wondering about the thinking here. Everyone on this blog has taken a look at Russian hybrid warfare. We can expect individual units to located and targeted with some vodka laced steel rain from hell. The Chinese? I have no idea what they're gonna bring but I would be my left testicle that they'll do their own version of the Russian way of war...probably with a bit more artillery added. But even if you're aiming this at low intensity conflict then the ambush in Africa should be informative. I'm repeating myself but I just don't see the battlefield application here.